LEBANON, Ind. 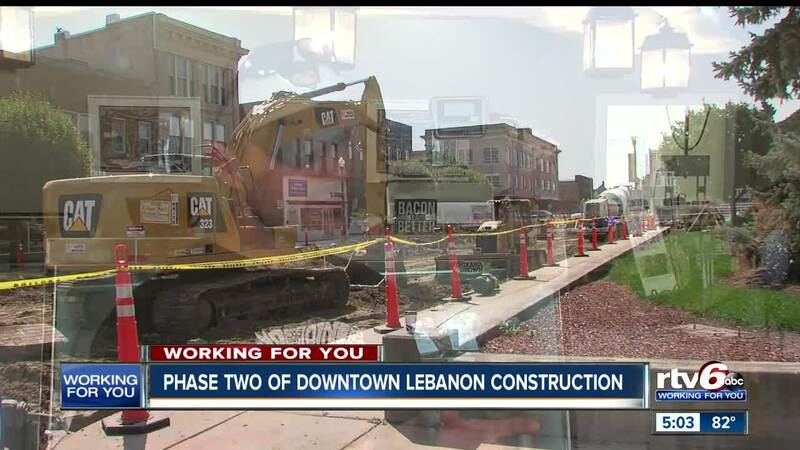 – The second of three phases of a construction project that hopes to help revitalize its downtown is underway in Lebanon. Crews will be removing old asphalt and adding brick pavers, update lighting fixtures, and repairing sidewalks. While the goal is to help bring more people to downtown, some businesses say the construction is impacting them. Ryan West, who works at Saint Adrian Meats & Sausage, says they have had slower traffic since the construction began. West says they are hopeful, but cautious, focusing on what they need to do to survive during the construction. The more than $7 million project has been more than a year in the planning. The entire project is expected to be done by Thanksgiving.